Experience 3 days exciting trip. 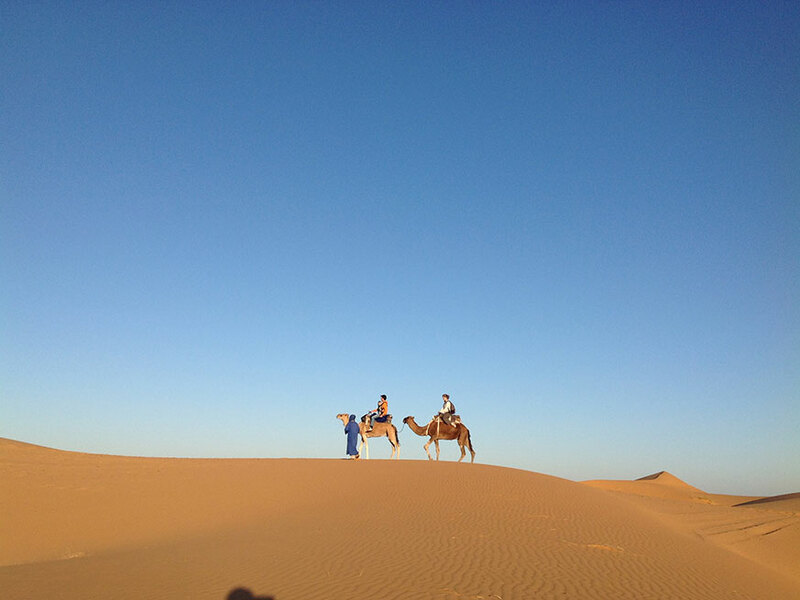 Visit Ouarzazate Hollywood of Morocco with Morocco&#39;s biggest studios. This tour is easily one of the most popular of them all. 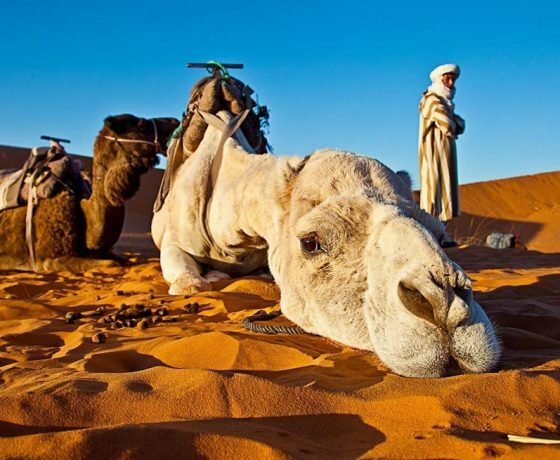 It is a desert trip from Marrakech that takes in many new discoveries. 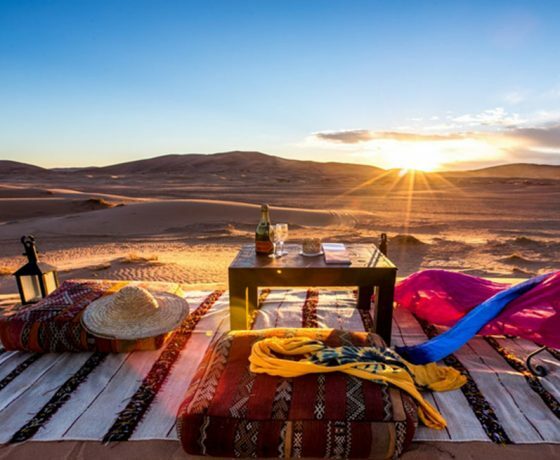 There are oases, sand dunes, Kasbahs, camel trekking and an overnight stay in a Sahara desert camp where you and your private party can gaze up into the night sky and witness the endless array of stars. 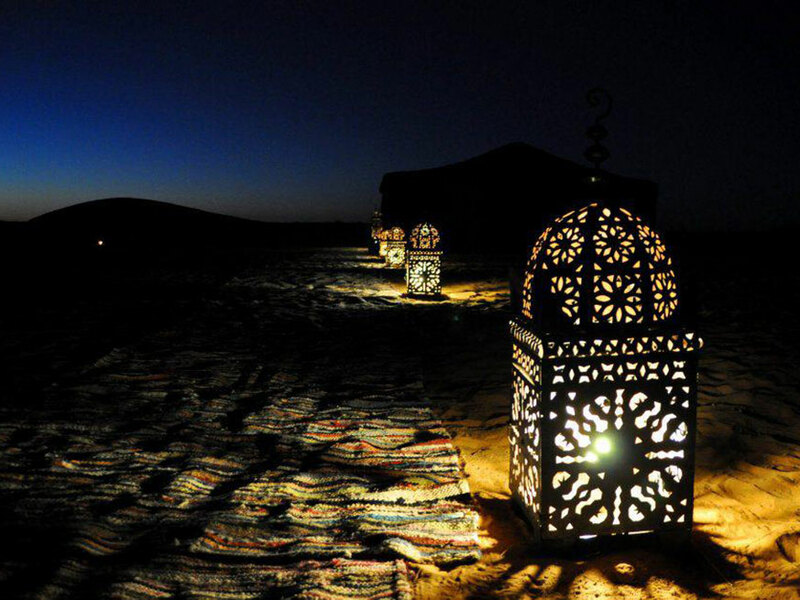 There is no light pollution to spoil your starlight gaze at your camp in the middle of the desert, and the sunset you witness when camel trekking is equally lavish. The thrill of this tour starts almost immediately with the long drive to Dades. The journey takes the party over the awesome beauty of the Atlas Mountain range. Eventually the drive will see us descend into the Kasbah at Ait Ben Haddou. 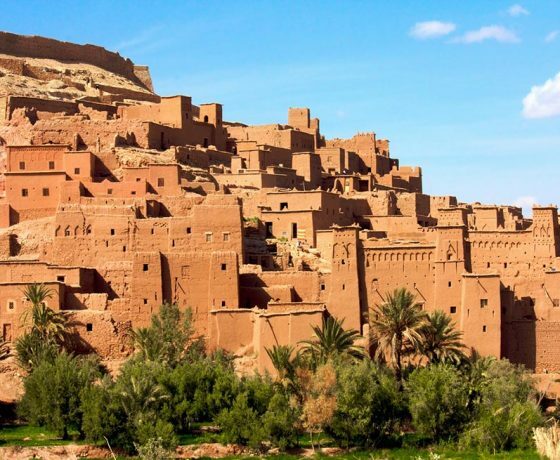 A World Heritage Site and a place of ancient wonder: the Kasbah contains several small markets or souks within its walled compounds. 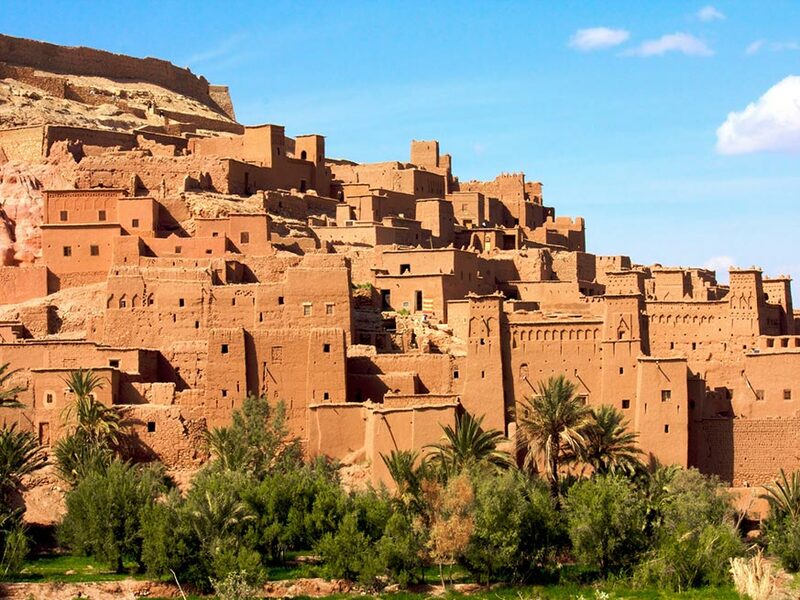 The first day also sees us stop off at the scenic city of Ouarzazate. Many Hollywood blockbusters and biblical film settings take place around this city. 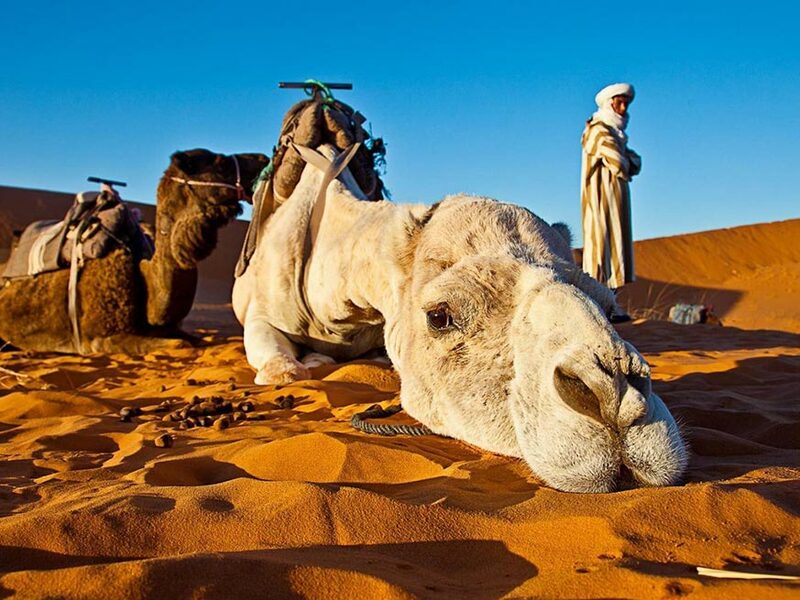 It is known in Africa as the gateway city to the desert. You and your private party will soon realise why this place is so perfect for the film producers to recreate an ancient feel and setting. The Dades Valley is the next adventure and we are still on our journey within the first day. 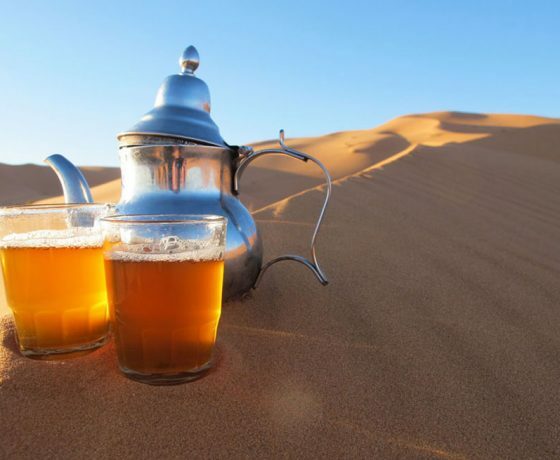 However, a long and adventurous drive will culminate in a guesthouse overnight stay in Dades after a delicious Moroccan evening meal has been enjoyed. 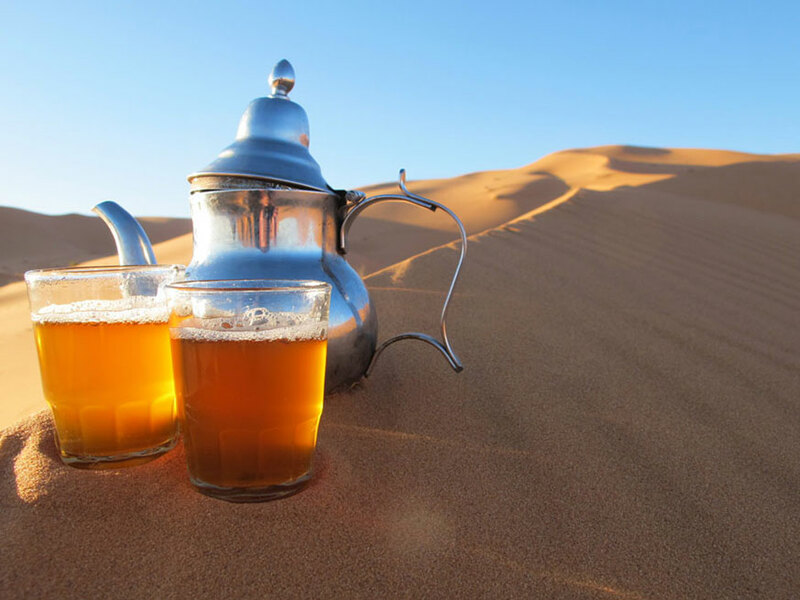 From Dades we will begin the day with a traditional Moroccan style breakfast and embark on a four-hour drive to Merzouga. The aim for this day is to witness one of the world’s most awesome sights: The Todra Gorge. Flat valley pathways allow the viewer to gaze up to 200 metre high cliffs on both sides in this awesome setting. Todra Gorge feels more like you have landed on another planet than here on earth. Just make sure the cameras are fully loaded and ready to snap. DAY 3: MERZOUGA – MARRAKECH. 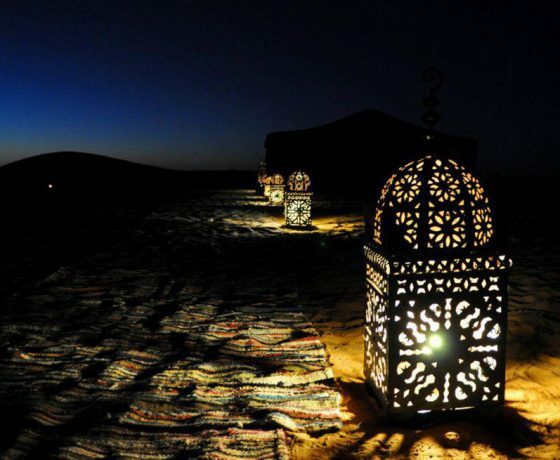 On the way back you see the fascinating Rissani, Moroccan architecture, Nqob, Tamnougalt and then the city of Ouarzazate once again. 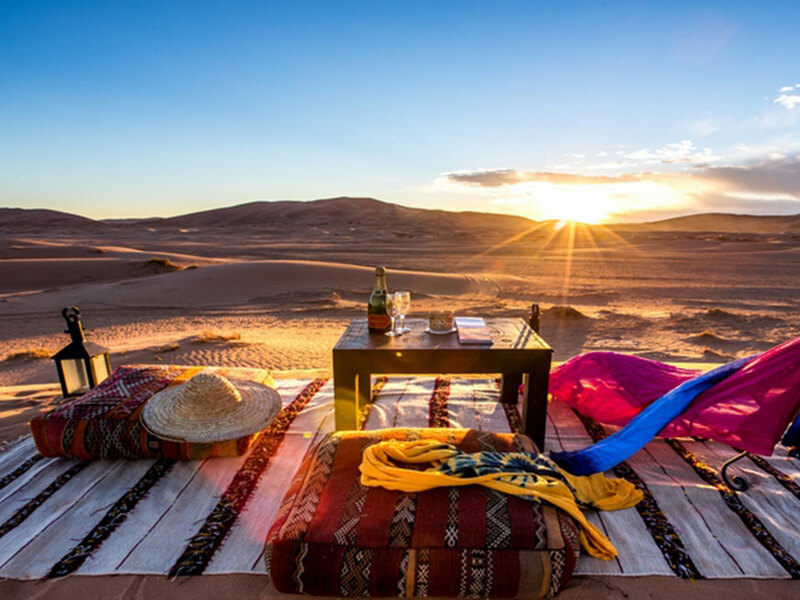 You and your private party will then return to Marrakech for your evening meal. This journey will be a 9-hour drive in total.